Dry Van Freight Shipping Services | Kings Eagle Inc.
Dry van freight transportation is one of the most preferred and trusted freight transportation methods available.If you have ever traveled on an interstate, then you have almost certainly seen one of these in operation.Any sort of freight that needs a form of protection from the environment will be appropriate for this type of trailer. A dry van is any trailer that is enclosed and protected.This is typically semi-truck or ‘box’ truck with a door on the back.These trailers are used for transporting perishable items such as meat, dairy, and some types of produce. Kings Eagle Inc. has special dry van shipping solutions for your freight! 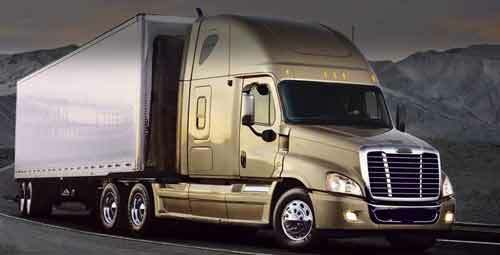 We are leading dry van trucking service in Central America, delivering freight in all states in the US and Canada. Our employees will work with you to determine your business’s precise transportation requirements. From there, our employees will provide you with a customized solution that works both on time and on budget. When it comes to dry van moves, specially trained drivers and experienced operations staff make all the difference. Let our company, Kings Eagle Inc, show you how we can deliver value for you while securely and safely handling your freight.On any kind of weather conditions, your freight will move on all sides-closed trailer. Rely on our extensive and reliable network of truck drivers to bring your goods to their destination safely and on-time.